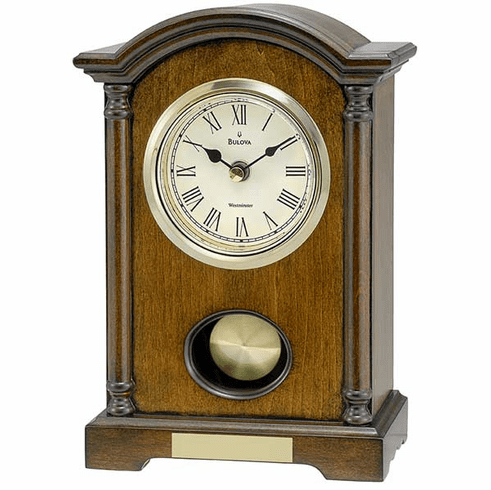 This handsome table clock features a solid wood and wood veneer case with a walnut finish. Polished goldtone bezel. Westminster melody on the hour. Spun gold-finish pendulum. Clear protective glass lens. 2.5" x .5" engraving plate included. Auto-night shutoff, multiple chimes and a silent option. Dimensions: H: 9.5", W: 6.25, D: 3.75"